SINGAPORE, 29 JANUARY 2019 – Albirex Niigata (S) have further bolstered their squad for the 2019 Singapore Premier League (SPL) season by signing two Singaporean players. The defending champions announced on Tuesday morning that midfielders Zamani Zamri, 17 and Martens Daniel Jordan Rowsing, 19, have joined the club. Zamani captained the Football Association of Singapore (FAS) Football Academy Under-17 side last season, while Daniel is on loan from fellow SPL side Hougang United. 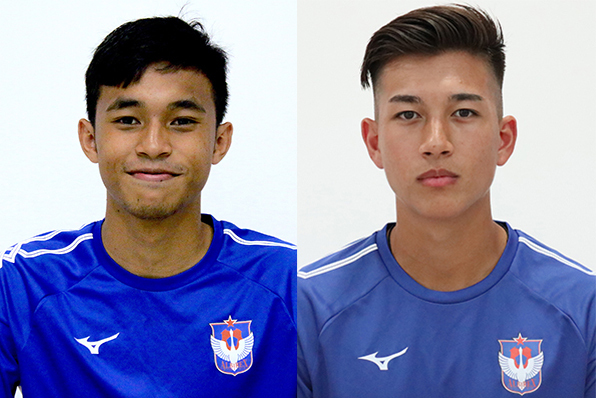 This takes Albirex’s local contingent to six, with goalkeeper Hyrulnizam Juma’at, defender Gerald Ang and midfielders Firas Irwan and Noor Akid Nordin having already signed with them. Who are the new men in the dugout for 2019? Find out HERE! The latest ins and outs in our Transfer Centre!